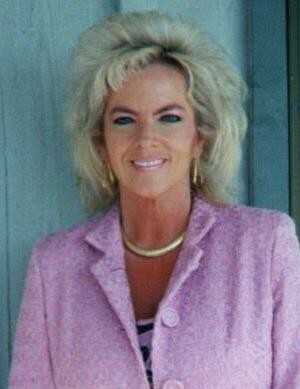 Jane “Janie” Marie Hastie, 57, of Stanford, KY passed away on Sunday, September 9, 2018. Born October 2, 1960 in Danville, KY to the late William Roy Hastie and Jane Carroll Gammon Hastie, she was a graduate of Lincoln County High School, and Eastern Kentucky University where she received her bachelors and master’s degree, and also held a Rank 1 in education. She was a longtime teacher and taught at Stanford Elementary School. She was also a member of Stanford Baptist Church. Survivors include her step mother, Doris Hastie of Stanford, KY; her brother, Billy Hastie (Kathy) of Stanford, KY; one sister-in-law, Gabi Hastie of Danville, KY; an aunt, Ruby Davis (Richard Cooper) of Lexington, KY; four nieces and nephews, Jenny McGuffey (Casey), Ben Hastie (Kristin), Evan Hastie (Nicole), and Seth Hastie (Monica); three great-nieces; two great-nephews (with one more on the way); several cousins, friends, and former students. In addition to her parents, she was preceded in death by a brother, Thomas “Tommy” B. Hastie. Visitation will be Wednesday, September 12, 2018 from 4-8pm at Spurlin Funeral Home Chapel Stanford. A graveside service will be held at 1pm on Thursday, September 13, 2018 at Buffalo Springs Cemetery with Bro. Kerry Jones officiating.